Whilst chocolate eggs may have been in plentiful supply for the past few months, let’s not forget about alternative Easter chocolate treats! If you are looking to gift something a little different this year, then look no further than the Cadbury Easter Sharing Basket (£30), filled with glorious Cadbury’s delights that are perfect to be shared… or even used in an Easter chocolate hunt! Find me a child… or an adult who wouldn’t love to open this hamper… daisy flowers and chicks not included! Have you picked your favourite Easter treat yet? The wicker hamper is really very handy, with the ability to use it again even after all the chocolate treats have disappeared, making it a wonderful gift to send… and receive! For adults who are looking for something to enjoy of their own, the Green & Blacks Organic Dark Chocolate Egg (£10.99) is pure indulgence. Since following Keto, chocolate has been a very rare treat and even then only dark chocolate over 75% with a careful look over the ingredients and carb content! However, in very small quantities, the Green & Blacks Easter egg from their Dark Collection which features a luxury dark 70% and two large dark chocolate bars (Ginger and Toffee flavours) will be the naughty treat I have been looking for, to enjoy with the upcoming final series of Game Of Thrones… what an Easter it is going to be! For some reason, our school holidays are totally different this year, with Liv already enjoying the start of her two weeks off. It is going to take a lot of willpower to not dive into all the chocolatey goodness before Easter Sunday is upon us… do people actually wait for Easter Sunday these days before they dive into a chocolate egg? 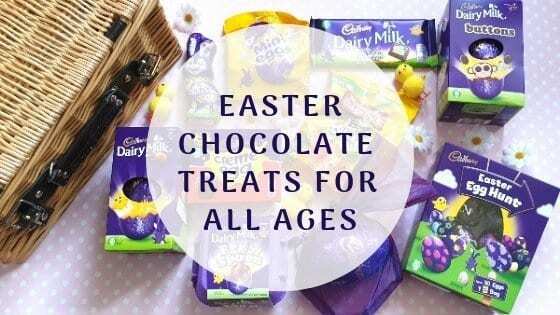 Many thanks to Cadbury Gifts Direct and Green & Blacks for ensuring Liv and I have an egg-cellent Easter, having sent us the treats that are featured in this post. Whether you are looking for something a little different to gift, or if you want to send a chocolate gift to someone you will not see over Easter, then delivery is super quick and convenient – I dare you to check out their ranges and not find something you love though! You can even collect reward points on the Green & Blacks site that can be used towards future purchases, making your chocolately treats that little bit sweeter!